Around the world, there is a wide variety of trees bearing cacao pods of different sizes, shapes and colors that can be used to produce chocolate. But as The New York Times' Myles Karp explains, only a few cacao types are broadly cultivated, which narrows the gene pool and puts the crop at risk for disease and environmental changes. 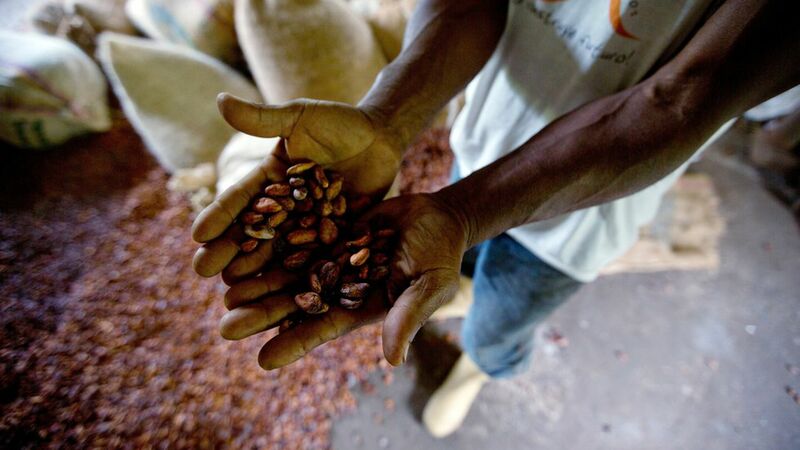 Why it matters: These challenges have made cacao less attractive to producers even though demand for chocolate is increasing — that could mean a shortage in the future. One of the greatest threats to cacao is the development of a fuzzy white fungal coating, called monilia or frosty pod rot. The fungus spread across Costa Rica during the 1980s, and eventually led exports of cacao beans to plummet 96%. "For me, the cacao industry is in permanent risk, because intentionally or unintentionally this disease could be spread in just one flight," said Wilbert Phillips-Mora, head of the Cacao Genetic Improvement Program at C.A.T.I.E. He added that the uptick in global travel and commerce in the developing world has created new avenues for infection. Climate change could affect the ability of plant pathogens to infect plants and make plants more susceptible to infection. Phillips-Mora studied the "most naturally tolerant and productive cacao trees" in the early 1980s, and by 2006 found a way to breed 6 hybrid cacao trees that on average produce about 3 times more than the standard types. One of his hybrids, called C.A.T.I.E.-R6 experiences roughly a 5% frosty pod rot infection rate, compared to 75% for a control variety. C.A.T.I.E. hybrids are now grown in all of Central America, as well as in Mexico and Brazil. The silver lining: "Whatever fungal mutation may arise, wherever drought may strike, however chocolate tastes may change — there will likely be cacao genes somewhere in the collection that can form the basis of new hybrids to meet future challenges," writes Karp.